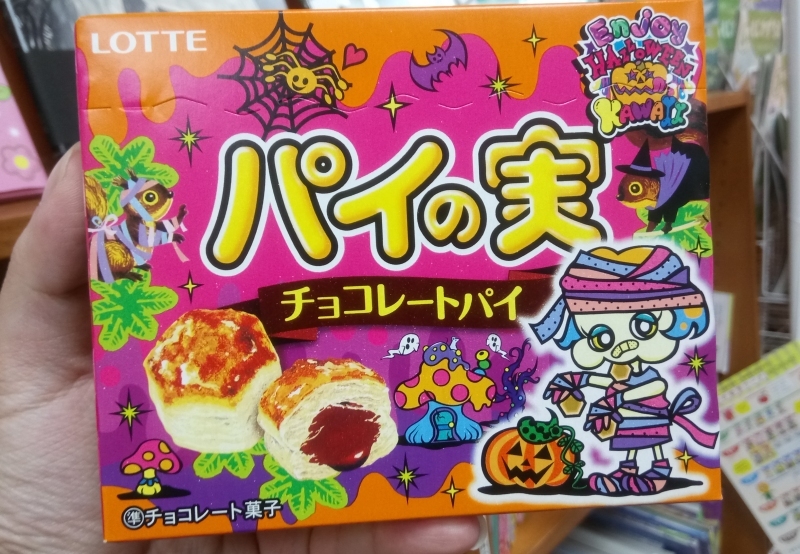 About once a month, I make the drive over to the city of Beaverton, Oregon to visit the nearer, smaller spinoff of Seattle's famous Uwajimaya Japanese grocer, and while they're unfortunately pretty sparse on the Halloween front in my experience, they did have at least a couple seasonal candies, and I couldn't POSSIBLY resist this wonderful packaging. Look at that mummy. Look at the little spooky mushroom house. Look at the COLORS. 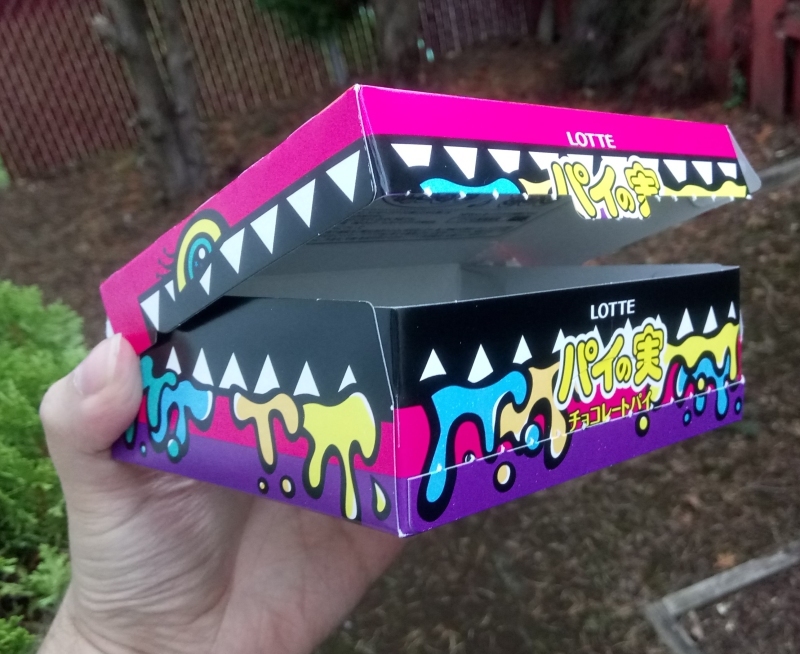 ...Not to mention the fact that the box itself is a monster. I don't even care about the "chocolate pie" cookies inside. They're dry and dusty and chewy, no wonder a mummy's the one hocking them. 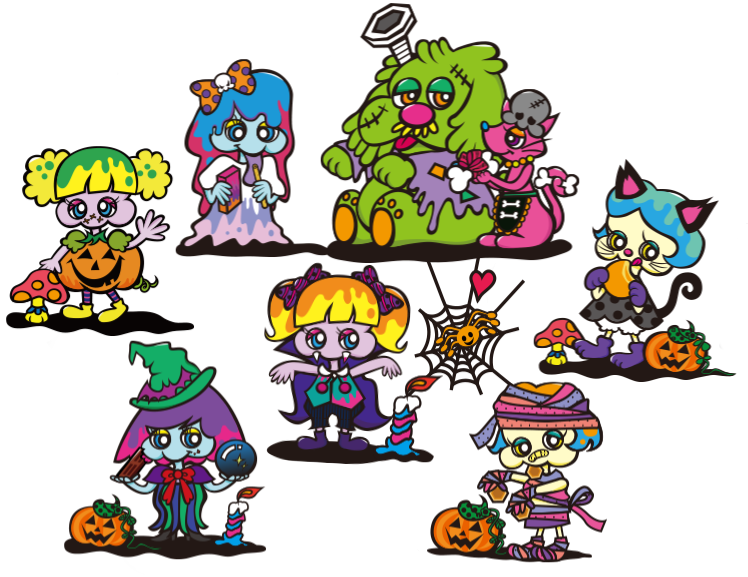 America INVENTED Halloween and it still can't be assed to make its Halloween cookie boxes into monsters?! 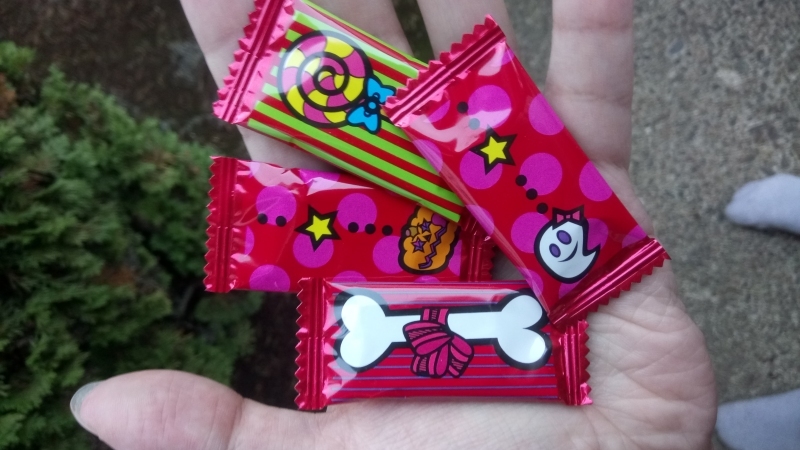 There was just one other "Halloween Kawaii" product for sale here, this time a bag of slightly waxy but still adorably tiny chocolate bars, with not only a witch, but a Frankendog and Frankencat. Look at that tininess. Actual candy bar style wrapper, actual candy bar style mold, but exactly the right size for a happy rat's little hands. 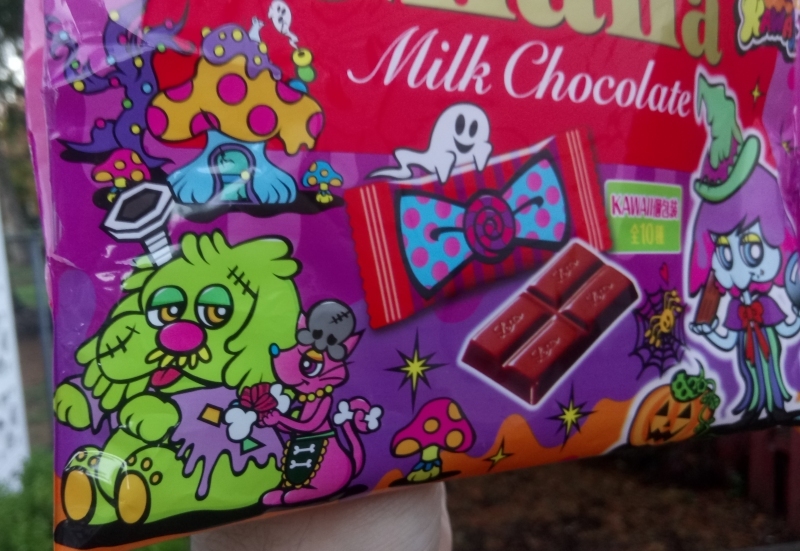 I don't even care that they taste as weirdly off as every other Japanese chocolate I've ever tried. I have to eat them on sheer principle. ...But, you have to love this promotional video. Does anybody else remember in the 90's and early 2000's when everyone agreed Japanese media was impenetrable nonsense? We're relatively accustomed to their entertainment by now, but this commercial takes me straight back to the days when the alleged "randomness" of Japanese advertising practically had a fandom all its own. 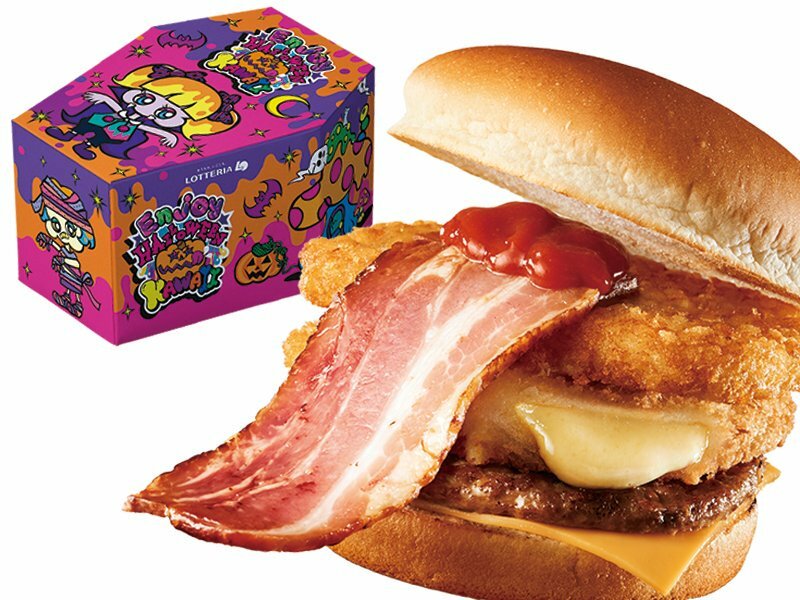 Every sandwich has its own colorful, spooky wrapping for the season, and a burger with a bacon tongue comes in a custom coffin box. A BURGER WITH A BACON TONGUE. IN A COFFIN BOX. I only even started liking burgers exactly one year ago. Don't do this to me!! And oh my god, those FRY BOXES. 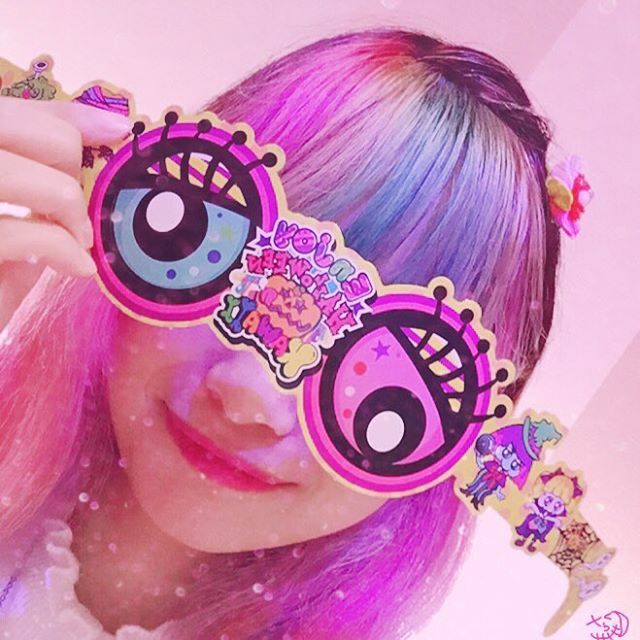 The apparently sentient, psychedelically colorful fry boxes with not only their own googly monster eyes, but googly monster eyes you can apparently punch out and wear as glasses. One of you people reading this has to live in Japan. One of you has to be able to fish one of these greasy cardboard buckets out of the garbage for me somewhere. 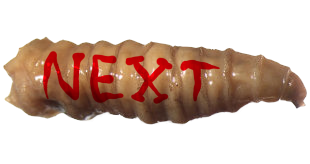 No, I mean it. I'll pay international shipping. I don't care what the hell it's going to smell like by the time it reaches me. Maybe it'll just be alive enough by then to qualify as my child. 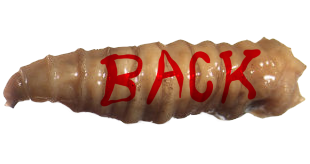 Something has to inherit my fake spiders when I die and it may as well be a potato-stained moldy bucket with eyes, a real chip off the old block! Look at what this french fry box is doing to my mind! IT'S THAT GREAT. But, okay...wait a second. 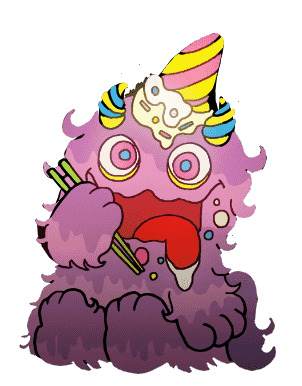 Scrolling farther on their site, we also get a prominent link to "Kawaii Monster Cafe," and clicking on it takes us briefly through a loading screen with maniacal, drooling bugbear whose name is apparently "Mister Ten Thousand Chopsticks." Hello, Mister Ten Thousand Chopsticks...where are you taking us? Oh, uh, alright. The "Mushroom Disco?" Okay. 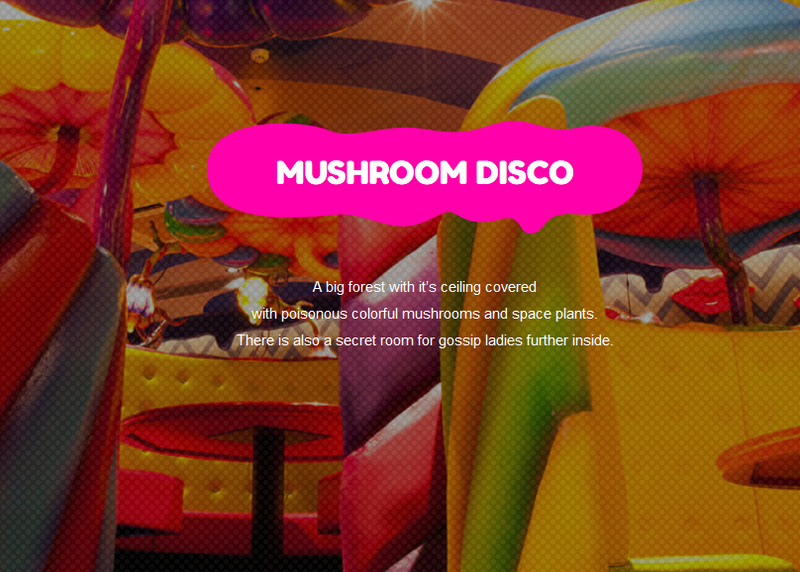 I don't think this is in a Japanese Burger King anymore, but if you're a "gossip lady" and you ever needed a secret room in a mushroom disco, I hear they've got you covered! 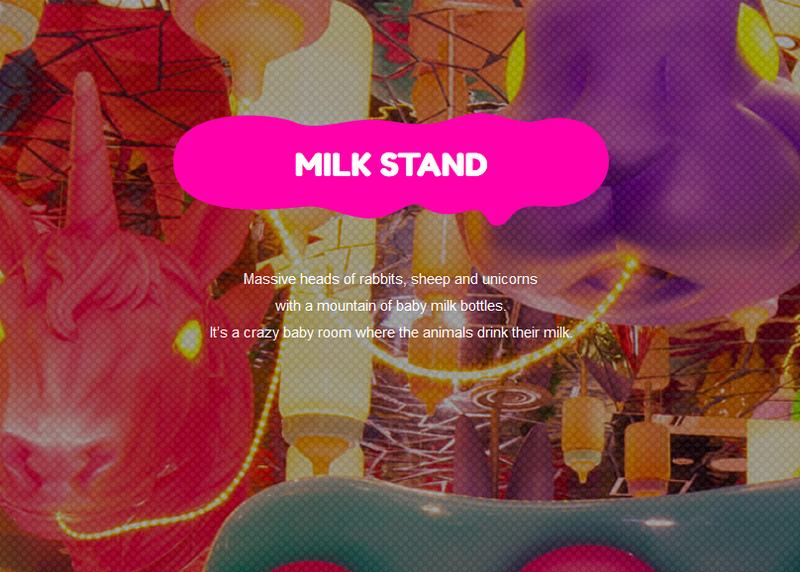 ...Huh...well...I...I don't know how to feel about a "crazy baby room," or the prospect of dining specifically where "animals drink their milk" in a crazy baby room. That doesn't really sound all that wholesome. 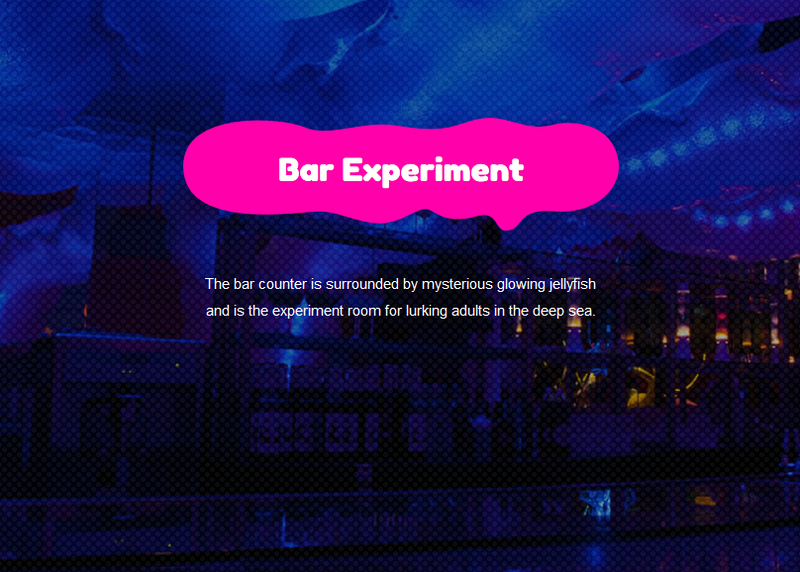 Now we've got a bar within the tentacles of a gigantic jellyfish. Okay, you've grabbed my attention. I don't even drink, but I might be up for just about anything when inside a big jellyfish. OHHHHHHH, OKAY. NOW I get it. This is like, one of those "maid cafes" or something, right? Except it's also some sort of giant art piece, which expanded into a whole weird multi-room theme restaurant for both kids and adults? 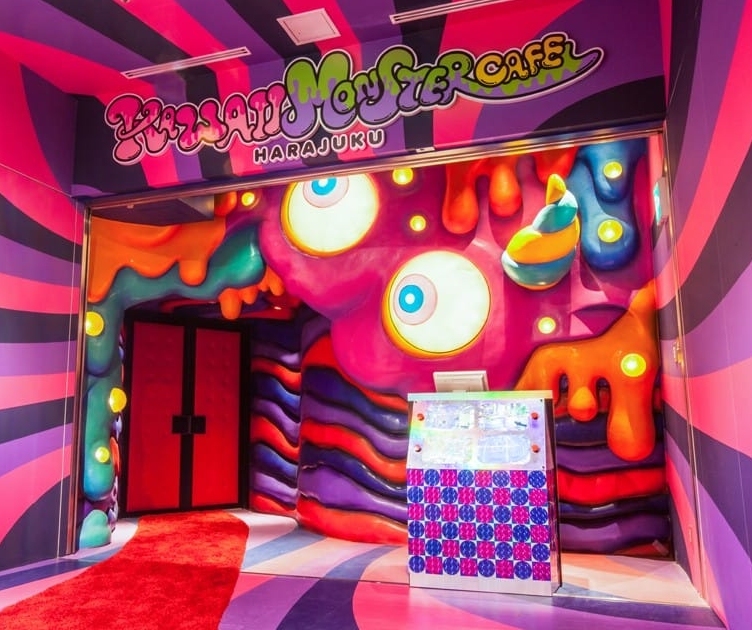 As it turns out, the Kawaii Monster Cafe is all the brainchild of a single artist, Sebastian Masuda, and Enjoy Kawaii Halloween is one big seasonal ad campaign for his candy-coated goth-punk branding empire. That's all well and good. I have no idea what's happening here. It's fine. I can get behind all of whatever this is, sure. Just give me one of your spooky buckets, please. Where are the buckets. WHERE ARE THE BUCKETS.